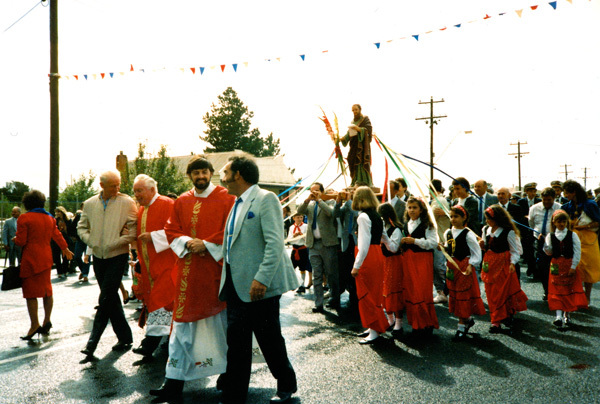 The real reason for the Festa – celebrating Festa San Paolo – the Feast of St Paul – patron Saint of Solarino, the small town in Sicily where many of the Italian families in Mirboo North originate. Fourth generation children, families, people of all ages sharing faith and carrying forward ancient rites and traditions. 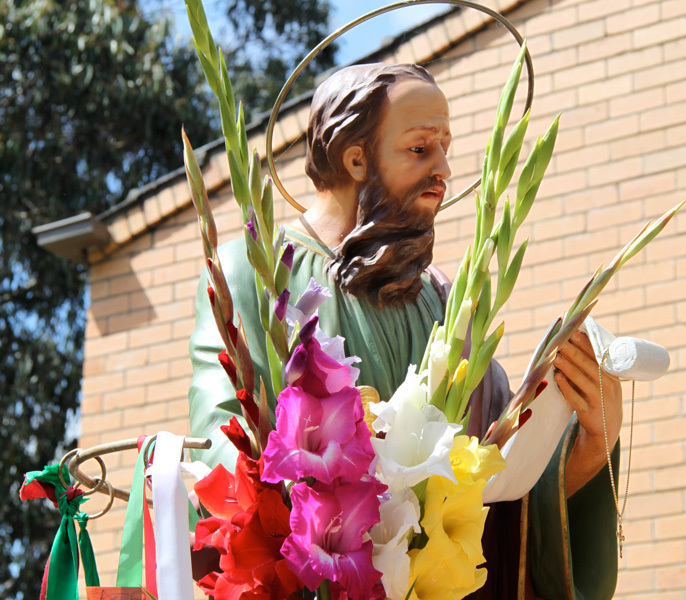 Commencing at 10.00 am – the open air Mass in the Park will be followed by a traditional procession of the Statue of Saint Paul through the park. Photo courtesy by Ray Pollanen.